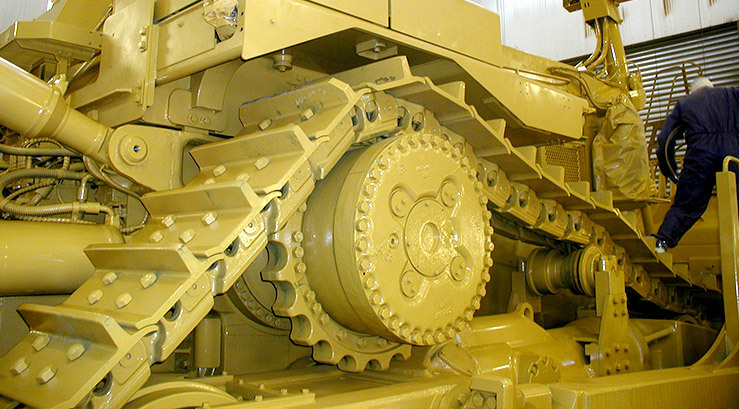 Cameleon has been supplying Westrac Machinery for over 20 years with coating products to protect Caterpillar Equipment and machinery. Westrac initially approached Cameleon for a single pack, quick-dry enamel to replace a competitor’s product. 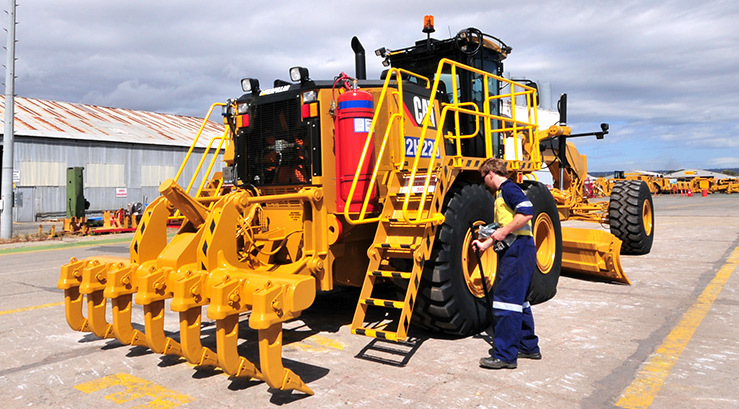 After working with Westrac for a couple of years, the quick-dry enamel was upgraded to an Automotive grade enamel – E427 Spraying Enamel Westrac Yellow – which was used on all equipment and machinery for about 10 years and is still used on small items now. 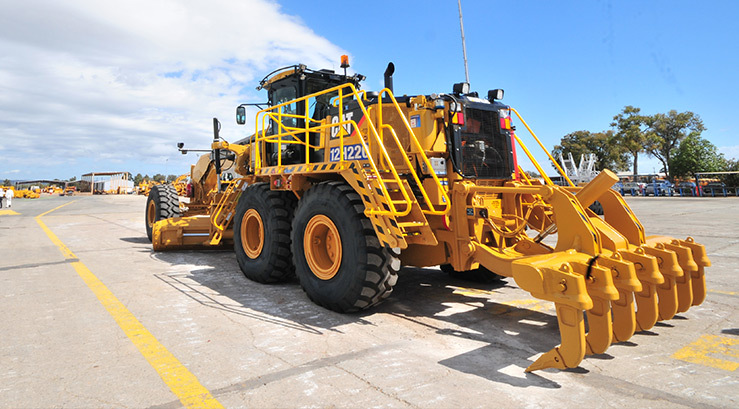 As the number of items being sprayed daily increased, the Westrac production department needed a faster cure time: Westrac consulted with Cameleon sales and technical staff to develop a coating system to suit their demands. Along the way, we learned of other major requirements – improved coating durability and a high standard of workplace safety. Meeting this challenge, Cameleon developed Camsafe IF898 in the standard Westrac Yellow use for all their items. Camsafe IF898 is a two pack Isocyanate-free polyurethane coating. 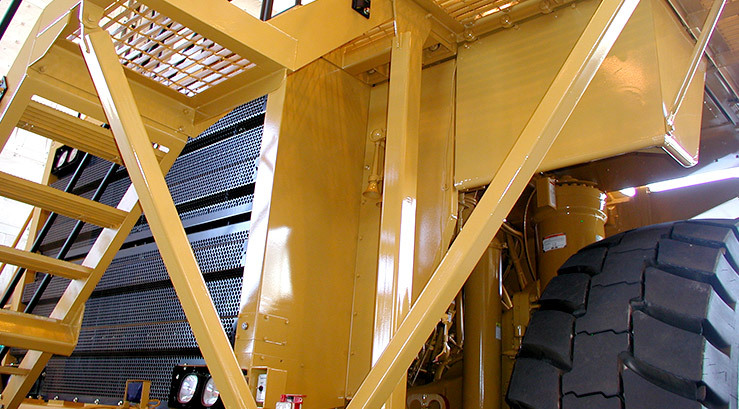 The significance of the isocyanate-free system is that isocyanate cured polyurethanes are banned from the Westrac site, due to safety concerns during application. 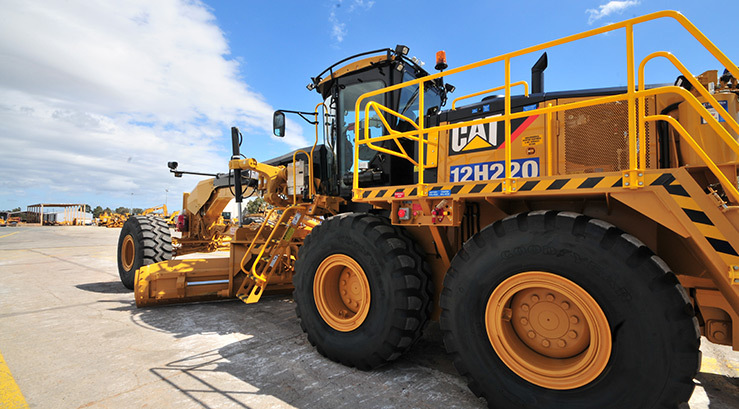 Camsafe IF898 has been used as a coating now by Westrac for the last 12 years: it is safe to apply, can be applied easily to large machines and cured quickly, enabling staff to walk on the coated areas 4 hours after application. It’s extremely durable, has excellent abrasion resistance, with a superior gloss and colour retention. Over the years, Cameleon technical staff has tweaked the application performance, by formulating thinners and hardeners to match application conditions so the same performance characteristics can be achieved – on every shift, all year round.